4 Bedroom Detached House For Sale in Stockport for Asking Price £425,000. A fantastic detached property in the Norbury Hall catchment area presented to a high standard by the current house proud owners. The property briefly comprises: porch, entrance hallway, an open plan, spacious kitchen/dining/family room with utility, a separate lounge in addition to the bright conservatory, downstairs WC and to the first floor, four good sized bedrooms and the family bathroom. There is an attached garage with access to the rear where there is an easy care patio area. To the front aspect, there are lawned gardens and off road parking. 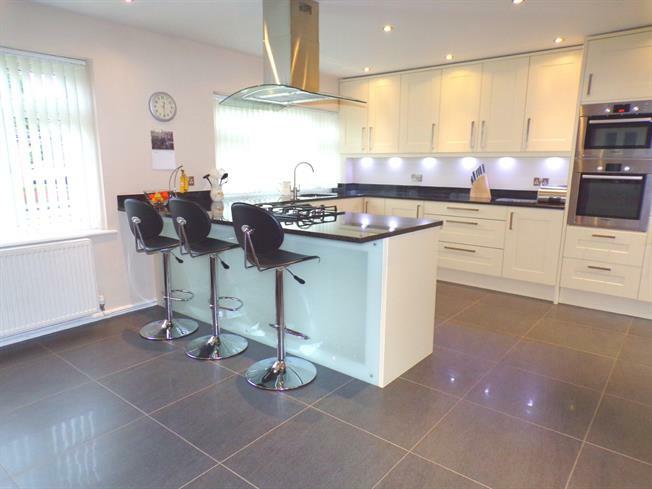 Located in a very sought after area, a four bedroom detached property with attached garage.